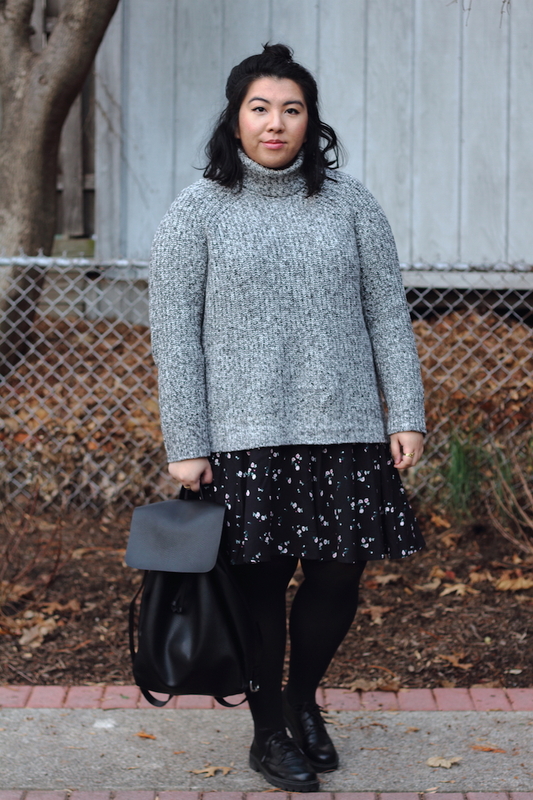 Sweaters are great, but turtleneck sweaters are even better. Turtlenecks can be a hit or miss. I still tug at the collar from time to time because I dislike feeling constricted even though it’s not tight. I also complain that I have a short neck, but I love turtlenecks anyway. They’re cozy and add extra protection from the cold. 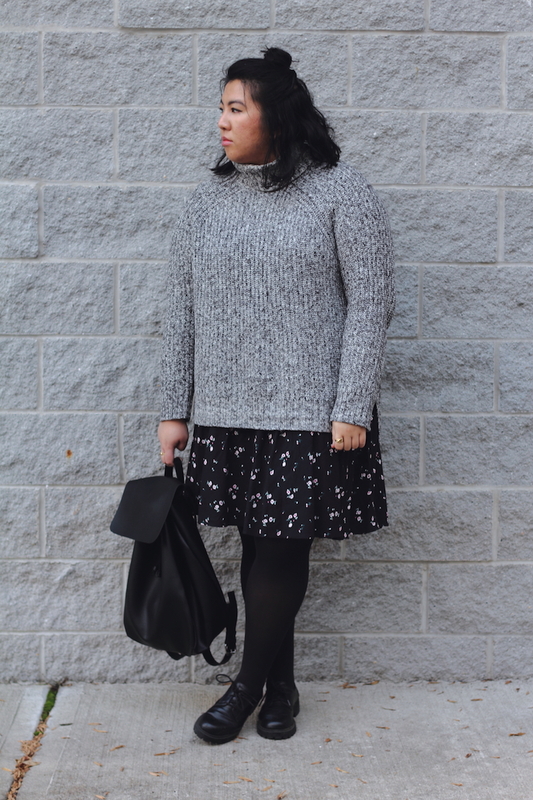 Here, I’ve pulled this chunky marled knit over a slip style dress that has dainty florals scattered all over it.